Stress relief is key to achieving a healthier lifestyle. 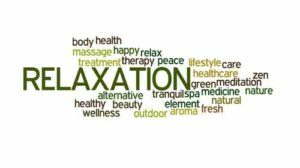 Even a single massage session can significantly lower heart rate, cortisol and insulin levels¬–all of which help reduce daily stress. Relax. Reset. Repeat. Massage has been shown to help the body enter a relaxing rest-and-recovery mode¬: an effect that lingers long after the massage is over.